Provide comfort for the family of Mildred Martin with a meaningful gesture of sympathy. Mildred S. Martin was born on August 3, 1932 in Powleys Island, South Carolina. She departed this life on March 6, 2019 to be with the Lord. Mildred was the youngest daughter of Lou Ella Gainey and David Sindab. Her mother passed away when she was three years old. Mildred was raised by her father and her loving step-mother, Rosetta Sindab, whom she loved very much. Mildred received her education from Holy Cross Faith Memorial School and graduated from Howard High School in Georgetown, South Carolina. The summer after graduating from high school she worked for a female restaurant owner who taught her the fine elements of cooking. At the end of that summer the restaurant owner asked Mildred what she planned on doing with her life moving forward to which Mildred replied “Well I’m certainly not going to be a cook”. Following that summer Mildred was asked to relocate to Wilmington, Delaware in a position as a domestic worker to a well to do family. It was there that she met, fell in love with George Martin. Mildred and George were united in Holy Matrimony and together they reared four children; Jacqueline Martin, Davy Martin, George Keston Martin and Kenneth Martin. Mildred was a preacher’s daughter and was raised in the Christian faith. She reared her children in the same way. Mildred was a faithful servant of the Lord her entire life. She would give you the shirt off her back if you asked her for it. Although Mildred said that she would never be a cook, ironically it was one of the things she was best known for. She turned out to be an excellent cook. People would flock to her house on Clayton Street for laughs and good times but also for her fabulous meals. She loved entertaining and making people happy. 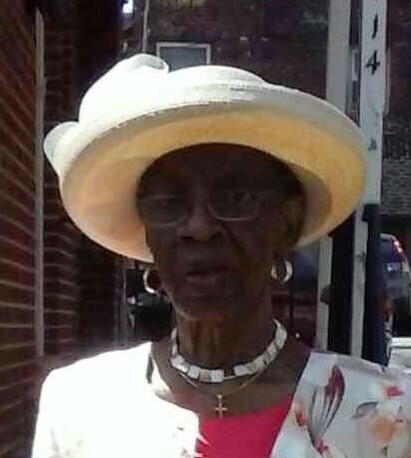 Mildred became a member of Eighth Street Baptist Church and a Deacon. When the church outgrew its space, they moved to 33rd and North Market Streets;, where the name was then changed to The Resurrection Center. Mildred is a two time cancer survivor. She has buried her three sons as well as her husband. Her whole live has been one of survival. Mildred was a pillar of strength and often encouraged others to seek their strength from the Lord. In her church, she was also known for dramatic poetry readings, ofter encouraging women in the congregation who had similar life crisis to be strong within themselves. She was preceded in death by her two brothers, Russell and Joseph Sindab; six sisters, Annabelle, Rubye, Eleanor, Sarah, Eva, Mary and Bernice. Mildred leaves to cherish her memories; her loving daughter, Jacqueline Martin; granddaughter, Jasmine Lilly; great granddaughter, Kassidy Mason; a host of nieces, nephews, sisters-in-law and cousins. To all who knew and loved her, she will always be loved and remembered. 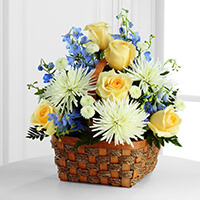 To send flowers to the family of Mildred S Martin, please visit our Heartfelt Sympathies Store. The Golden Age ministry m sent flowers to the family of Mildred S Martin. The Golden Age ministry m purchased the The FTD Heavenly Scented Basket for the family of Mildred Martin.